Learning another language brings you great understanding of cultures around the world. When the time comes to apply to college, most colleges ask about foreign language study. Being able to speak multiple languages is a huge advantage in the job market. Just think of the travel opportunities! Learning a second language can be fun! But, what if I don’t speak a second language? Don’t worry! If I’ve learned anything during this past year of homeschooling it is this: you don’t have to know everything, you just have to learn alongside your child. You don’t need to be fluent, just flexible and willing! How do you know which language to choose? 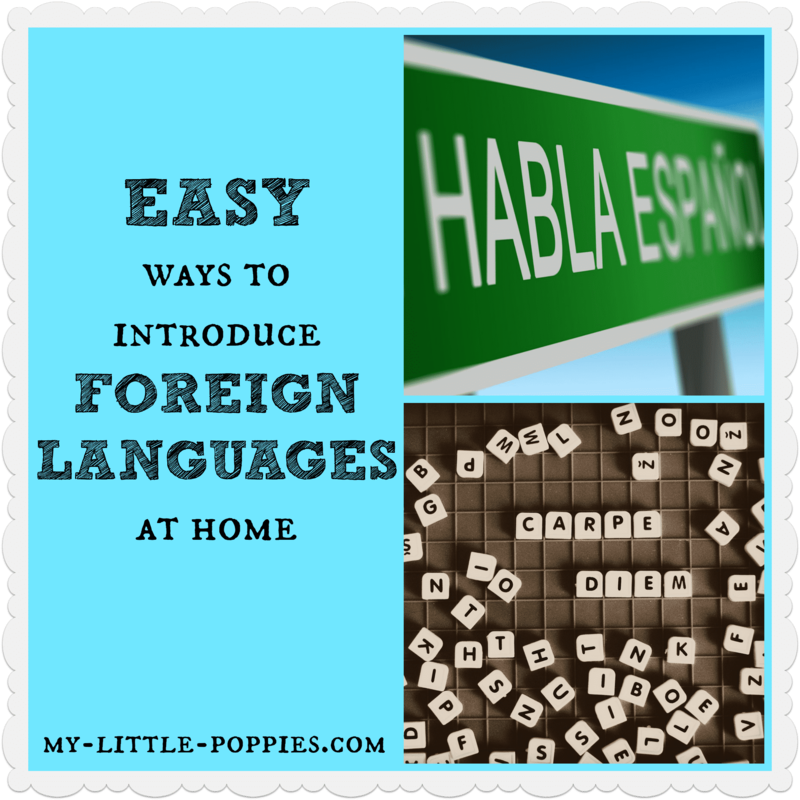 Wouldn’t it be wonderful if your child could sample a language for a little bit? If she could get her toes wet and see if she likes it, and whether she prefers one language over another? I’m happy to share that I’ve found an easy and fun way to sample some languages. Does it surprise you to learn I’m going to share some books?? Probably not! 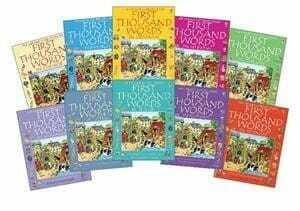 My children adore the First Thousand Word series from Usborne. We have Spanish, German, French, and Latin… with the rest of the set on our wish list. These books pair high-use vocabulary words with the amazing illustrations that Usborne is known for, and you can use Usborne Quicklinks to listen to native speakers pronouce each word! This is an amazing way to introduce languages to young children without spending a fortune. Minimus Latin Minimus combines story-telling, illustrations, and background information to make Latin appealing to young children. This set is geared for ages 7-10 and it is a wonderful introduction to Latin. I found this text to be both fun and easy to teach as someone with no Latin backround. Here comes the magistra, Salve, salve! Teach the discipuli! Students, students! Away goes the magistra, Vale, vale! Good-bye discipuli! Good-bye students! When the teacher asked what he was singing, I giggled and told her he was singing Latin! This summer, we are over-the-moon excited to try out Rosetta Stone! I have dabbled in sign over the years as an educator and a parent. This summer, our family is going to try out an ASL curriculum – stay tuned for a post! Tell me, do you speak multiple languages? Are your children bilingual? 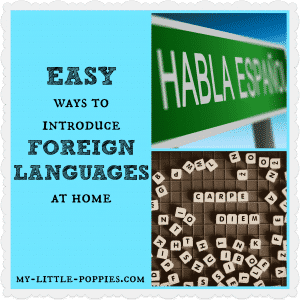 Do you teach language at home? What resources did you use when you first started? Share here! We used Compass Classroom’s Visual Latin. My daughter is 11 and this is our first year homeschooling. She chose Latin for the foreign language (she wanted to know more about where words come from). IF I had younger children I would have chosen Song School! But I highly recommend Dwane Thomas from Visual Latin for upper elementary through secondary students. Our library even has some Latin language learning books that have helped. I would say that learning Latin has been the most bonding part of homeschool, as it has taught me to “co-learn” with my daughter. I need to check into Duolingo. We tried Rosetta Stone for Spanish, but it wasn’t a good match for us. Bless him, my son’s thick southern accent didn’t jive with the software! We love learning a little before our holidays/travel or culture studies. Eg. Before we travelled to Italy withba 2yo (delayed honeymoon), we learnt a little Italian including nursery rhymes. I think it really helped our child relax in a foreign country for our big holiday because he wasn’t intimidated with the new sounds and words. Since then we have added Bahasa Malay (trip to Borneo), Spanish (study/ trip to Galapagos) and Japanese to the mix (study for martial arts). Danish is next on the list. We all love learning a little as it seems to naturally progress with curiosity. In fact, we find we all learn better when it slips into every day activities, like playing a board game and we change the rules to ‘must say … in Italian’. Or if one of the kids asks, mum – what’s … stem from? It all sounds a little nerdy but every bit has them (and us) thinking about how we say things, even in English, every day. I am from Ukraine and know four languages – Ukrainian, Russian, Polish and English. My husband is Australian and can speak only English. Our three kids are bilingual (Ukrainian and English and they understand Russian also. I have chosen Ukrainian for LOTE. My oldest is 6 y.o.and she can read and write in Ukrainian. I just use Ukrainian curriculum that we use in Ukrainian schools ( it is the easiest way as it my language). I take studing foreign languages seriously and plan to teach my children Russian and, hopefully German or Spanish or Italian ( I will need to learn them together with my kids).